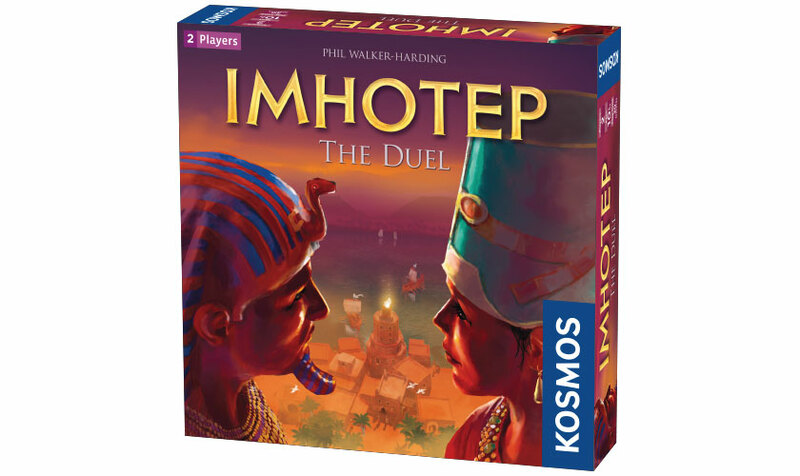 The competition of the builders continues in Imhotep: The Duel! 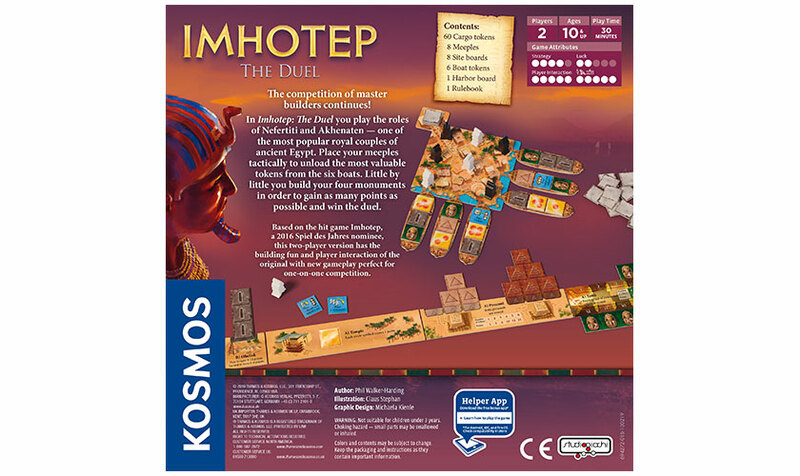 In this game, players take on the roles of Nefertiti and Akhenaten, one of ancient Egypt's most famous royal couples. 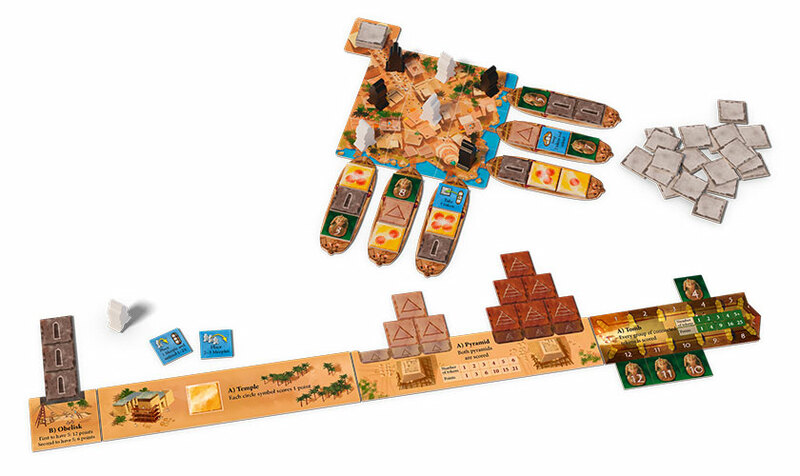 Game pieces must be cleverly placed so that players can unload the most valuable tiles from the six boats. While this is happening, each player builds their own four monuments in order to gain as many points as possible.